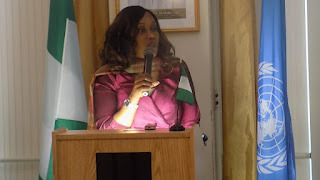 The Director-General of the agency, Dr Julie Okah-Donli, disclosed this while speaking with the News Agency of Nigeria (NAN) after a road walk to sensitize people against human trafficking in Abuja on Monday. The NAPTIP boss said that since she assumed duty as head of the agency, she had been doing more on awareness creation to sensitize people on the danger of human trafficking. She emphasized the need to take the sensitization campaign beyond cities to rural areas where most human trafficking activities take place. Okah-Donli enjoined international organizations, NGOs and other relevant stakeholders to continue to support NAPTIP to win the war against human trafficking.